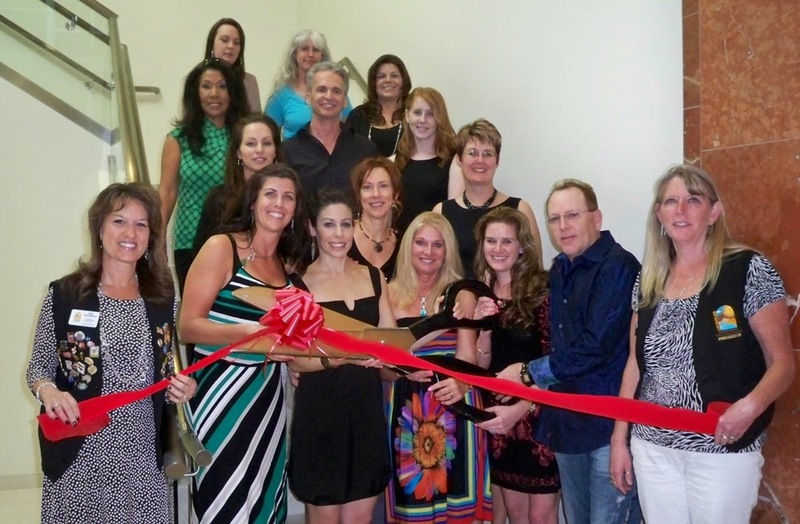 The Lake Havasu Area Chamber Ambassadors held a ribbon cutting ceremony for Innovative Health Care of Havasu celebrating the grand opening of its health and wellness center. Attending the ribbon cutting from left to right were Top Row; Danielle Damron, Heather Clever, Sheri Henshaw, Third Row; Linda Stovalt, Tom Stewart, Kyrsten Dorssey, Second row; Farrah Rusch, Natalie Crone, June Franzen bottom row; Amy Sugamele, Tania Sobchuk, Shelley Bengard, Yvonne Mason, Summer Tilgner, Theron Tilgner, and Audrey Hoyt. The goal of Innovative Health & Wellness Center is to achieve overall health and wellness using both allopathic and homeopathic modalities. Working as a team, the professionals and Innovative Healthcare of Havasu and Innovative Health & Wellness Center will treat your entire body to achieve superior results. For more information contact them at 297 S Lake Havasu Ave.